In this article we will study about the Concept of Prospectus. we will discuss the meaning and features of prospectus and also we will discuss its content and Registration. Prospectus means any document issused by any authorised body for notice, circular, advertisement or other document inviting public for the subscription or purchase of any securities of any corporate body. “Prospectus is any document which is issued by corporate body to invite public for the subscription or purchase of its securities”. Issued by the corporate body to the public the invitation of subscription or purchase of any securities. Prospectus is only issued by the public companies. It is an invitation to the public by public company. Date of publication included or written on it. Issued to the public after its registration with registrar. Prospectus can issued by Public Company. It can be issued by any person on behalf of the Public Company. By any person who has been engaged or interested on the formation of a company. A deemed prospectus issued by persons to whom company allot its securities. Information * Name and Address *Date of opening and closing of the issue. *Issue of allotment letters. *Statement by the board. *Underwriting. So we have studied the Concept of Prospectus. 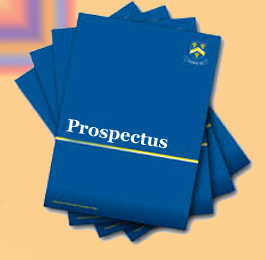 we discussed the meaning and features of prospectus and its content and Registration. If you have any query related to above article please let us know in the comments section below. What is the meaning of SEBI?